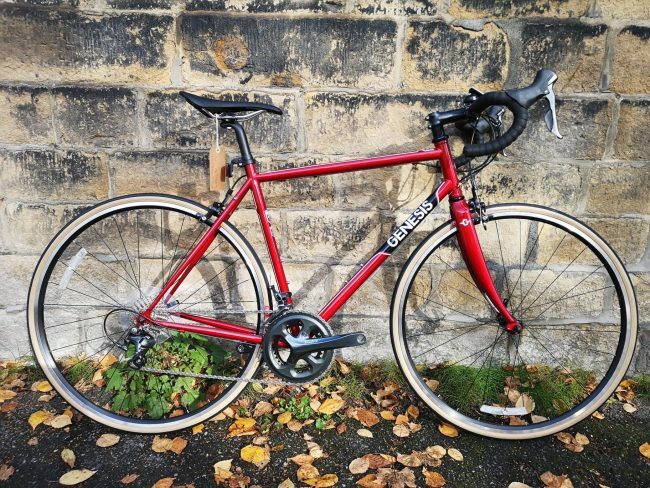 ABOUT THIS BIKE: Fast and light steel-framed all year rounder. There’s good reason why the Equilibrium has been a staple in the Genesis range for many a year now – the combination of a lightweight, durable double-butted chromoly frame, classic looks, full-length mudguard capabilities and sublime ride and handling qualities has made it a true riders’ favourite; to many as the quintessential four-season UK road bike. With a little more relaxed geometry vs. a conventional road race frame (longer wheelbase, slacker headtube angle & more fork offset), the Equilibrium is our lightweight steel all-rounder, ideally suited to big mile rides where comfort, stability and efficiency come before KOM leaderboards. That said, it’s no slouch, the surefooted geometry, spritely steel frame and lightweight carbon fork work wonders to smooth out and tame the worst of the UK broken roads and will have you descending and cornering like you’re on rails!